Imogen's Typewriter. : The Manchester Essence Event! The Pamper Puff Girls seeing to Vicki's nails. 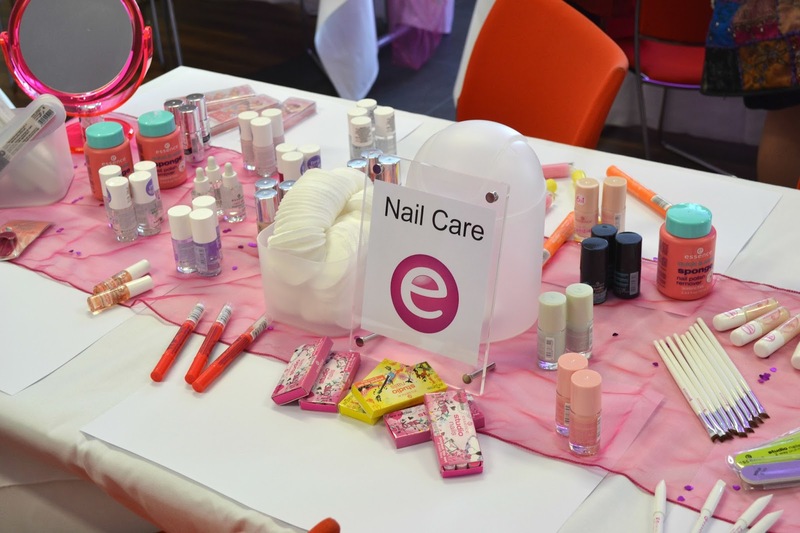 My Pamper Puff Girls manicure and just a few of the Essence products available! 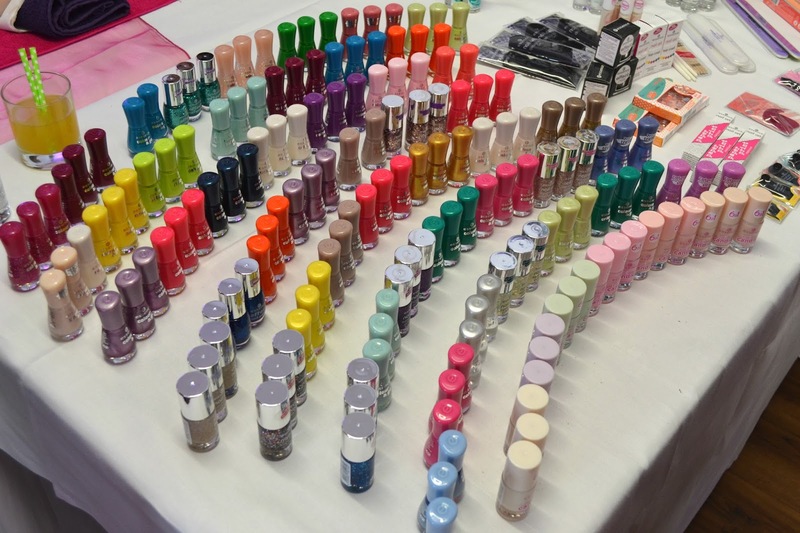 The rainbow of colours offered by Essence at the moment! Which is your favourite? 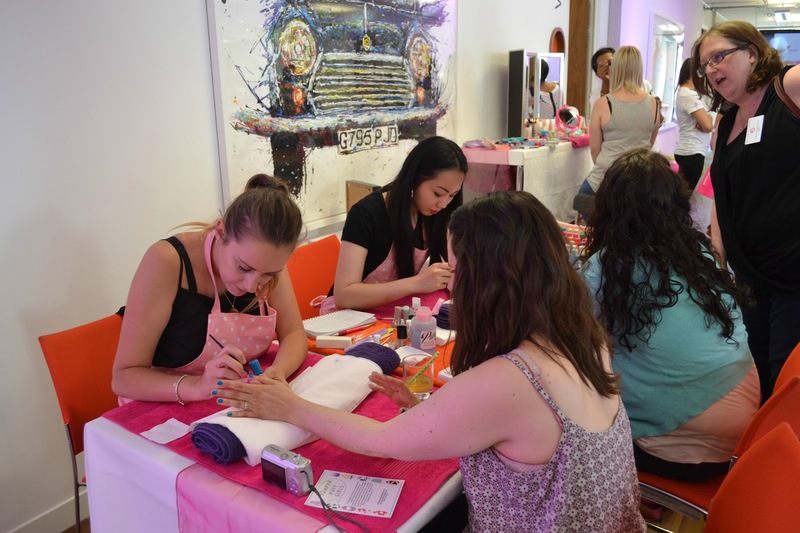 Of course we can't forget nail care and nail art! 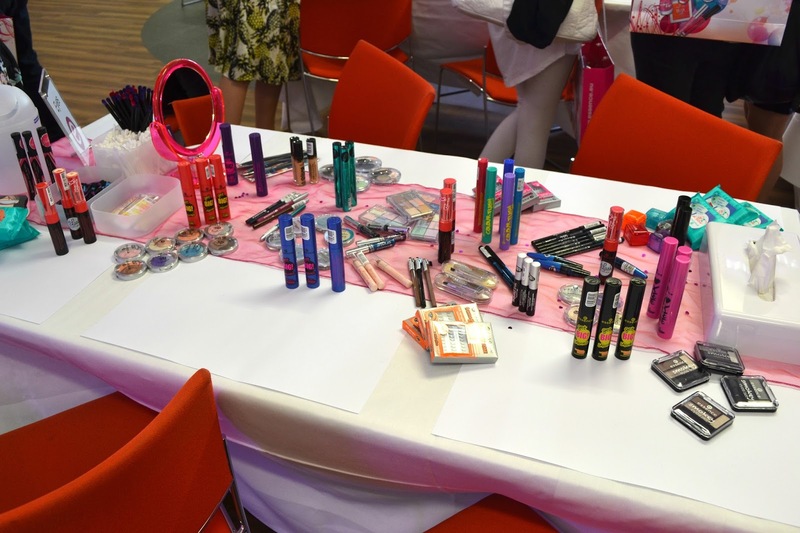 There were lots of tables set out to sit and mess about with products at! They have a huge variety of mascaras and oh- the mini palettes. Post on these coming soon! 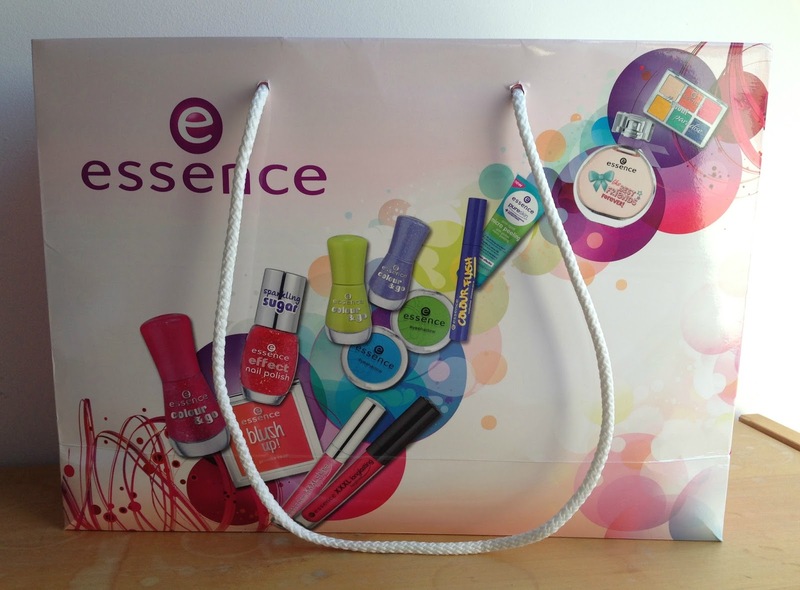 I'm really glad that Essence are launching in the UK, they're going to fill in the gap in the market for a Cruelty Free, affordable and fashionable brand. 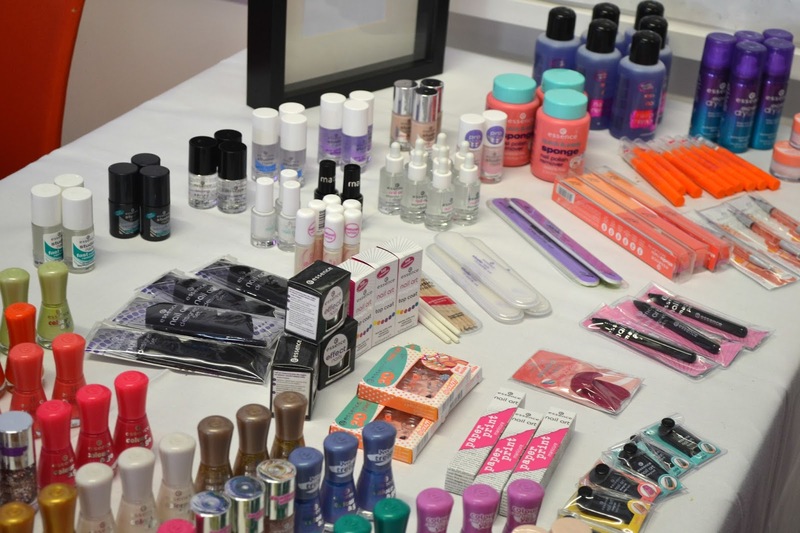 50% of their stock is rotated every year to fit with new trends and the prices will range from about £2-£5. Opening in over 200 of Wilko's stores, they will be easy to find too. Expect lots of reviews coming up as they were very generous and I'm really looking forward to see what this brand can do. Thank you to Essence and Flipside PR for such a fun event, it was great learning about the brand and getting to talk to fellow bloggers. Especially Caitlin, Vicki, Siobhan and Heather! Have you heard of Essence before? Are you looking forward to their UK launch? Health Food Store Haul & some Beauty Goodies! Fiction Friday: My Favourite Cancelled TV Shows! What is a 'Guilty Pleasure'? Astrid & Miyu: June Secret Box! Fiction Friday: Top 5 Summer Fiction Essentials! 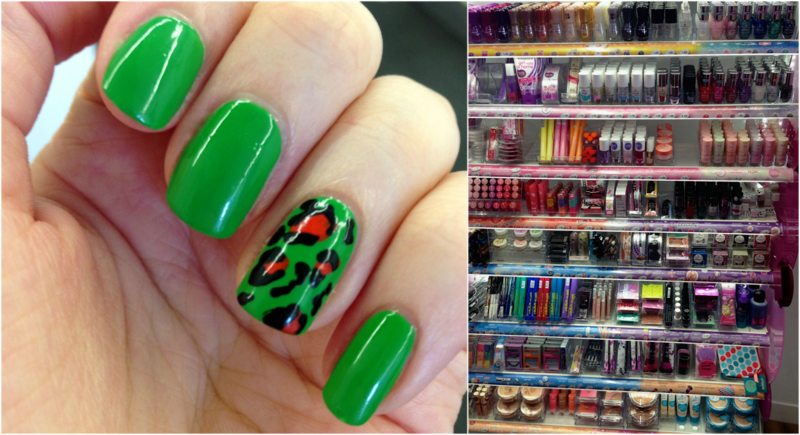 The Battle of the Mint Nail Polishes!